Uruguay’s capital, Montevideo, often gets overshadowed by her larger, flashier sister across the Río de la Plata, Buenos Aires. While Montevideo may not have quite the bustle of Argentina’s capital, it shares that city’s cosmopolitan atmosphere and, of course, excellent steak houses. Its smaller size is also an advantage: There is a relaxed feel to this more low-key counterpart to BA. 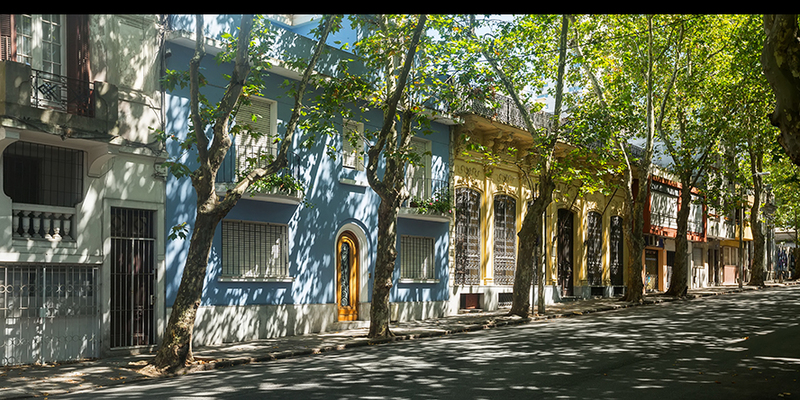 Montevideo has a surprising mix of neighborhoods. The Ciudad Vieja, with its grid of streets on a peninsula separating the Río de la Plata from the harbor, is the colonial heart. Long neglected, it has recently undergone a renaissance — restaurants, bars and clubs are opening in historic buildings that have been meticulously restored. Montevideo’s downtown is a treasure trove of Art Deco buildings, while the newer eastern suburbs may evoke Miami for visitors. Gleaming skyscrapers and open-air cafés overlook beaches that run for miles. Of all the cities of Latin America, perhaps none are as approachable as Montevideo. Residents appreciate a good steak from cattle raised on the pampas or a stroll along the malecón with an ice cream cone in hand. After a day here, you likely will too.